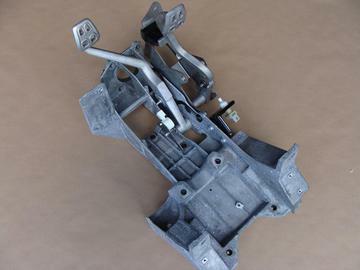 Used brake and clutch pedal assembly for 05-13 Corvettes with a manual transmission. Assembly includes the mounting bracket, brake pedal, clutch pedal and switches. Clutch pedal spring was broken and is not included. It will need to be replaced. Assembly is in good condition.